Workshop with Margrét Sara Guðjónsdóttir, organised by Dansalliansen. More info on Dansallianens homepage. “This workshop offers an introduction to sensation and state-oriented bodywork. It aims to guide participants towards a so-called Full Drop into the body, in search of potential for an increased presence both on stage and in everyday life. In the greater context, this workshop offers an alternative way of approaching the body itself, and those who work with it on a professional level. It encourages investigation into non-goal orientated movements by tapping into presence, and supports non-manipulative movement research. This process simultaneously questions older concepts of how we relate to your professional body and methods of disciplining and dominating that body in order to gain control over it and have it perform. Margrét Sara Guðjónsdóttir was born in Reykjavík in 1978. She studied with the dance department of the HKF Art School (now artEZ Institute Of The Arts) in Arnhem and Amsterdam (NL), and graduated in 2002. With dancer and choreographer Sveinbjörg Þórhallsdóttir, Margrét Sara co-founded the production house Panic Productions in Reykjavík (IS), which was active from 2004 – 2009, and focused on producing and initiating collaborative performance works with international artists. Margrét Sara has toured internationally with her own work since 2010. 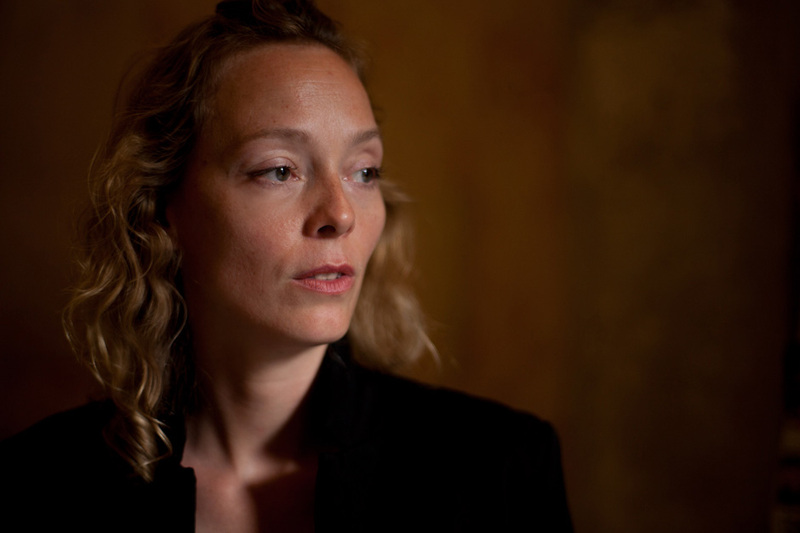 As a performer Margrét Sara has worked with among others Gisele Vienne and Dennis Cooper, Erna ómarsdóttir and Constanza Macras/DORKYPARK, Jan Fabre, Esther Salamon, and Angela Schubot. In 2015 Margrét Sara became artist in residence at the Cullberg Ballet in Stockholm. Margrét Sara Guðjónsdóttir’s “In the blind spot” is presented at MDT 11-12 April.